Get out ​your calendar and Texas map and start planning what you're going to do this Halloween in Texas. You'll find frightening and fun events at zoos, theme parks, and haunted houses that are sure to give both kids and adults a Texas-sized scare. In Mexico, the end of October marks a time-honored celebration known as “Day of the Dead.” Over time, the tradition has crept into the Mexican-influenced Texas border region. 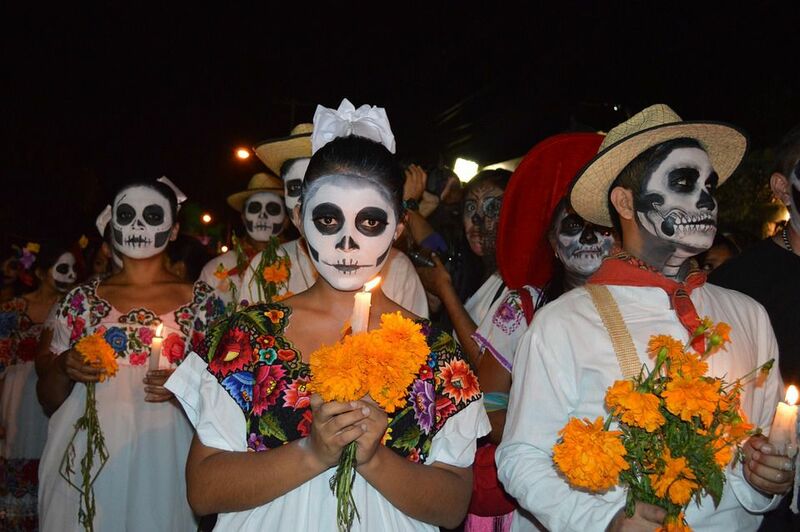 In fact, several towns across Deep South Texas now host their own version of the Day of the Dead celebration. One of the more unique events takes place in the historic South Texas seaport of Port Isabel. Held at Tablerock Amphitheater in Salado, the Fright Trail offers games, contests, and spooky tales for children. Adults can experience some of the "horror classics" (think Headless Horseman and Frankenstein), and everyone can expect the unexpected. Take a trip 35 miles outside of Austin to a spooky 20-acre forest. The attraction includes three haunted houses: Mansion of Terror, Lost Pines Zombie City, and Slaughter Circus. You'll also find music, a cafe and bar, merchandise, and movies. This annual event is always popular with kids and adults. Try to avoid the zombies and ghouls roaming the park, take some thrilling amusement park rides, and dare to enter the haunted houses. Be sure to come back after sundown when it's extra spooky. Here's something different: a night of performing arts in honor of Halloween. This annual family-friendly event features Victoria Symphony musicians and Victoria Ballet Theatre dancers. Come dressed in costume. The Fossil Rim Wildlife Center in Glen Rose holds a free Halloween celebration at its Children's Animal Center. Kids will love goats that do tricks for treats and the creepy crawlers. Activities include face painting and a jack-o'-lantern carving contest. Pumpkins purchased for carving just might end up being lunch for a hungry animal. Many zoos hold Boo at the Zoo for Halloween in Texas. At zoos in Waco, Brownsville, Victoria, and Abilene, you'll find festivities that include candy, face painting, hayrides, carnival games, bounce houses, and haunted houses—all set within the zoo's unique environment. Check each zoo's website for specific details.